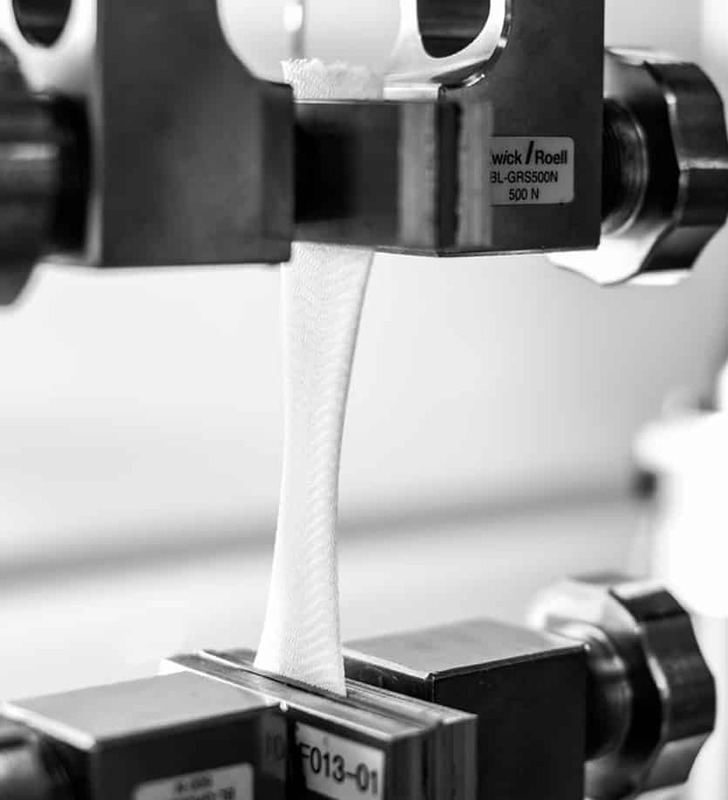 Aran Biomedical employs micro-machining to deliver high quality product finishing and feature integration, such as porous structures for biomaterial films and constructs, or creating the final product gross dimensions. Pore shape, size and distribution can be varied to suit indication for use. Aran Biomedical offers a variety of packaging materials and sterilisation options, which ensure that an effective sterile barrier is achieved and maintained during distribution and storage. Packaging solution are tailored to meet any branding, labelling and volume packaging requirements. All sterilisation of products is carried out externally and monitored in accordance with our Quality Management System. We determine and validate the appropriate sterilisation conditioning methods (ethylene oxide (EO), Gamma irradiation, E-beam) in accordance with recognised international standards. Aran Biomedical undertake characterisation throughout process development and product manufacturing. The following provides outlines some of the characterisation activities undertaken. A range of mechanical performance tests can be undertaken to benchmark performance and verify adherence to specifications. All tests are carried out in accordance with defined ASTM standards using software-controlled equipment. Prior to prototype development, evaluation of tensile strength or flexural rigidity can help inform material selection. Fabrics can be characterised according to ball burst testing, tear resistance, suture retention and tensile strength in the machine and transverse direction. For coated or PTFE covered implants, the coefficient of friction can be tested and 3-point bend testing can help determine kink resistance and flexibility, while peel tests can evaluate coating adherence. Material selection is a critical factor in product development, whether selecting a yarn for textile development or a resin for coating. During pre-development mechanical testing may be undertaken to help inform material selection. Process development for coated devices is supported through evaluation of dilute solution viscometry to assess inherent viscosity. In addition, resorbable materials undergo residual moisture detection, before, during and after processing to determine material quality and potential affect to degradation/ shelf life. Non-contact measurement systems are used for both coatings and textiles to verify thickness and any thickness variation at the sub-micron level. Coating flow characteristics on a particular substrate and yarn configurations are also supported by high magnification microscope inspection and recorded with high-resolution imagery.